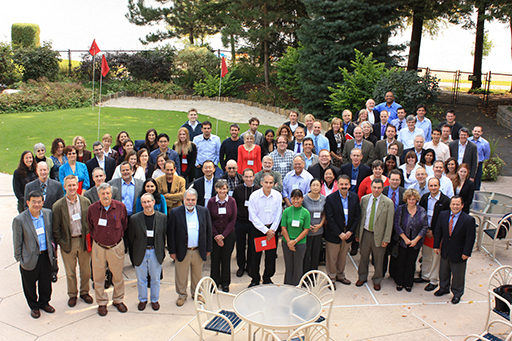 The Muscle Study Group held its annual meeting on September 20-22, 2010 at Beaver Hollow Conference Center, Java Center, NY. The agenda included five major sessions: The Challenges of Patient Recruitment, Recruiting the Next Generation of NMD Investigators, Inflammatory Myopathies: Pathogenesis, Treatment and Clinical Trials, Inflammatory Myopathies: Pathogenesis, Treatment and Clinical Trials (Continued), and Past, Current and Future Protocols: Lessons Learned. The MSG held its annual meeting on September 21-23, 2009 at Beaver Hollow, Java Center, NY. The meeting, entitled “Fostering Pharma-Academic Partnerships in Neuromuscular Experimental Therapeutics,” brought together members of the pharmaceutical industry and academic researchers. The agenda included two major sessions: (1) Novel designs and outcome measures in translational neuromuscular research and (2) scientific updates in basic science, methods and treatment strategies. The MSG held a meeting of clinical scientists on September 15-17, 2008 at Beaver Hollow, Java Center, NY, entitled “Experimental Therapeutics of Neuromuscular Disease.” The conference brought together translational and clinical scientists in a forum for discussion of current and novel therapies and drew speakers and participation from international experts with an interest in developing international collaborations among trainees and investigators focused on clinical trials. Specific to international collaboration many members of the TREAT-NMD consortium based in Europe attended the meeting, thereby fostering connections necessary to facilitate clinical trials in the rare diseases. Through the funding of an NIH R13 award, the MSG held a meeting of clinical scientists on September 17-19, 2007, at Beaver Hollow, Java Center, NY. The program emphasized translational approaches to bringing molecular discoveries into well-designed clinical studies. Through the funding of an NIH R13 award, the MSG held a meeting of clinical scientists on May 31 through June 2, 2006 at Beaver Hollow, Java Center, NY. The program emphasized translational and experimental therapeutics research. The agenda included two major sessions: (1) Translational bench-to-bedside presentations on topics including muscular dystrophy, neuromuscular junction disorders and motor neuron disorders and (2) Clinical trial methodology session including industry, FDA and academic perspectives. This entry was posted in Annual Meetings. Bookmark the permalink.